A little sparkle, a dash of shine and a whole lot of dazzle has arrived at GEARYS! No ensemble is complete without the perfect piece (or two), and we know there’s something for every style, expertly designed and thoughtfully crafted from all our new collections. We want to welcome Diane Kordas, Lauren K, Ippolita, Armenta, Sydney Evan, and John Hardy and their specular art to GEARYS. As with any good welcome, we want to show off a little about these fantastic designers to give you a peek at what they do. Everyday glamour is encompassed in Diane Kordas’ sophisticated collections. Designed to be worn every day, each item embodies passion in timeless pieces that can be passed down from mother to daughter and always be in style. The 18k Rose Gold Classic Amulette Necklace with Diamond Lid & Diamond Line is the perfect way to tell someone how much they mean to you or to wear in honor of someone you love. From the passionate side of a woman’s life to the fierce warrior side, Diane has a piece for you. Lauren K’s stunning collection combines glittering gemstones with 18 karat gold to create opulent pieces that are sure to have the wearer stand out in a crowd. Every stone is handpicked for the qualities that make them not only beautiful but unique. Elegant and refined, Lauren K is perfect for the boardroom and a night out. The 18k Yellow Gold Multi Color Tourmaline and Morganite 4-Joyce Earrings are one of our favorite pieces. The Italian line named after the fantastic woman who created it sparks vibrancy and life to any outfit. Bold colors mesh handsomely with simple and classic designs to create something remarkable. No matter your age, the Ippolita Collection celebrates you. The simple architectural elements in the Lollipop 18k Yellow Gold Lollitini Long Necklace with Multi Stones make it the perfect finishing touch to jeans and a blouse or a couture gown. Enchanting colors and silver effortlessly capture the night sky and all the magic that comes with the stars. There has never been a more delightful collection than those from Armenta; whose pieces are fit for royalty. A gorgeous combination of expert stones, delicate metals, and hand-crafted art makes each and every piece one to treasure. Whether you’re in search of a ring fit for royalty or earrings to cast all eyes on you, Armenta has it. We’re obsessed with the Old World collection and are thrilled to be carrying such a refined line. Armenta’s Old World 18k Yellow Gold & Black Rhodium Silver Large Open Way Oval Chandelier Earrings with Champagne Diamonds are simple, yet elegant. Day or night, these earrings will have you reminiscing about old world charm. A mixture of travel, love and art, a piece from Sydney Evan is one to be treasured. Designed and created with 14 karat gold and a mix of precious and semi-precious stones, these designs are always in-line with the fashion trends. Whimsical, sparkling and delightful are just some of our favorite ways to describe her art. The 14k Yellow Gold Large Diamond Love Necklace is just the piece to begin your collection or gift to show someone they’re always on your mind. 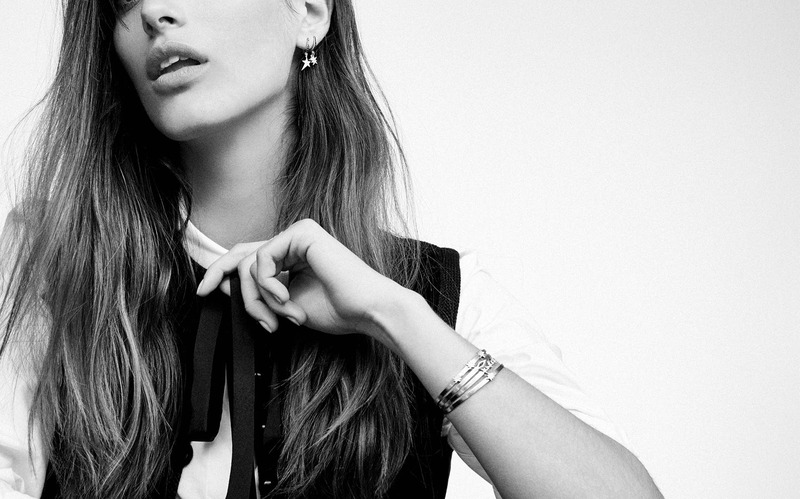 Our collections wouldn’t be complete without versatile John Hardy pieces. Each hand-crafted design combines the rustic, cultural and inspiring elements of Bali, with timeless features that make them perfect for any occasion. Hints of reclaimed silver and gold make for special necklaces, cuff links, bracelets and more that are also often interchangeable and can be combined together for a flawless look. Bring a bit of Bali to the boardroom or an evening out with the Classic Chain Sterling Silver Medium Flat Chain Bracelet with Black Sapphires. The black sapphire will add the missing touch to your attire. Whether purchased for a significant other, friend or boss, the John Hardy collection is ideal for the man or woman who likes simple and commanding jewelry. 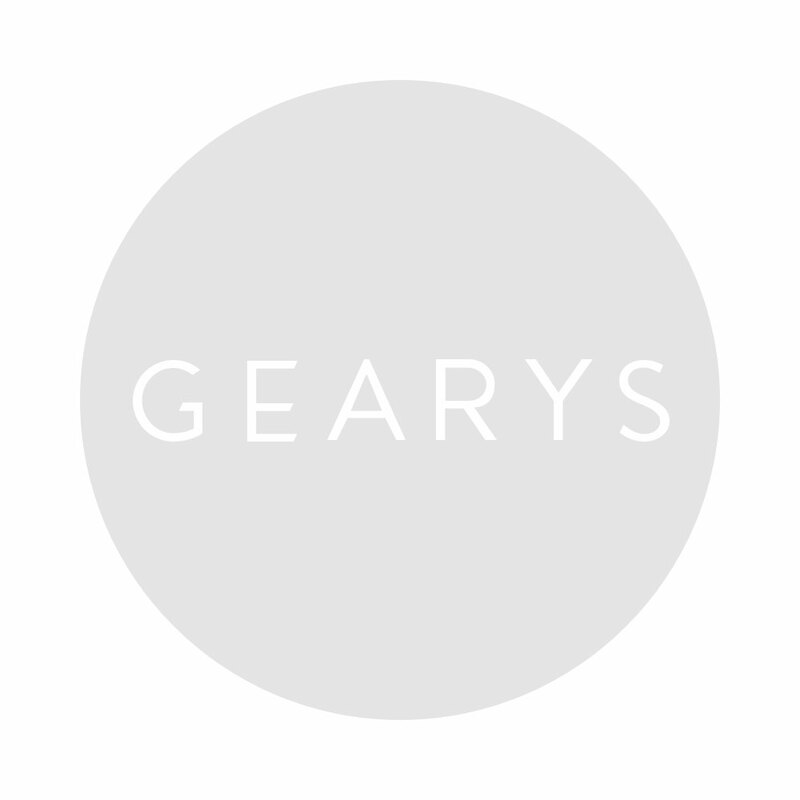 Each and every new collection sold at GEARYS brings something wonderful to our store. We’re delighted to have such brilliant designers added to our family and hope you’ll find inspiration in their pieces. Come in and see us for all your jewelry desires.